HALLOWEEN. Day of the Dead. Cabbage Night. Did you know??? 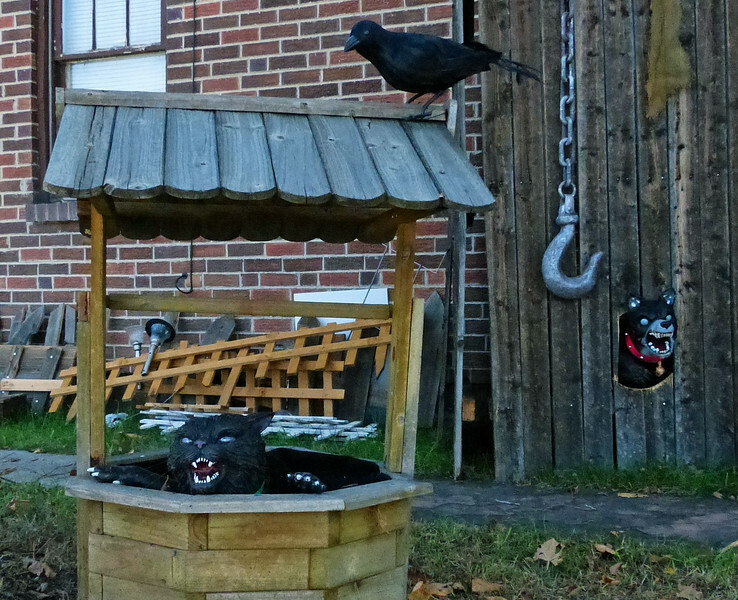 Halloween's origins come from a Celtic festival for the dead called "Samhain." Celts believed the ghosts of the dead roamed Earth on this holiday, so people would dress in costumes and leave "treats" out on their front doors to appease the roaming spirits. Granted, the Celts were not solely based in Ireland when these customs started taking shape around the first century B.C. If you'd been around for the earliest Halloween celebrations, you might have worn animal skins and heads. Jack-o'-lanterns were once made out of turnips, beets and potatoes -- not pumpkins. Some animal shelters would not allow the adoption of black cats around Halloween for fear they would be sacrificed. More recently shelters hold "specials" on black animals during the holiday. This is our nod to the fun and creative Halloween fests out there . These ain't no blow-up prefab offerings! We look forward to adding more inventive presentations of future Halloweens in the years to come.